"In this new anything-goes society we've constructed, it's impolite to point out that traditional families build better products and prodigies." Ah, so Tom Brady, Michael Jordan and Magic Johnson are great…because they had siblings? And saying “in this new anything-goes society we’ve constructed, it’s impolite to point out that traditional families build better products and prodigies” is a hell of a take. 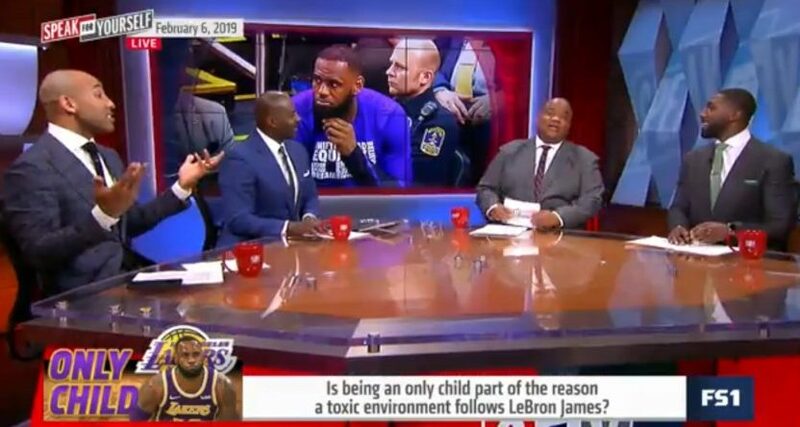 Whitlock goes on to say that he was raised by a single mom after his parents’ divorce, but that doesn’t give him free range to lob these kinds of insults without criticism. (And really, he’s not a great product or prodigy himself, but that’s not about his family status growing up.) But can we also point out that Whitlock is referencing rapper J. Cole just a couple of days after he dropped this nuclear-level take on rappers? That’s some damn good use of national programming time FS1. Nothing like spending 21 minutes arguing about LeBron not having siblings.